​Inter's chief executive Alessandro Antonello has revealed that the club are open to a new stadium share with city rivals Milan rather than renovating the pair's current stadium, the San Siro. The Giuseppe Meazza has been the home of the Nerazzurri since 1947, sharing the ground with Milan, who have occupied the stadium since 1926, which has been modernised on a number of occasions to keep it in line with Europe's top stadiums. ​Milan however admitted earlier this month they had ​'fully embraced' plans to build a new €600m stadium, with ​Inter now following suit in a bid to build a stadium 'worthy of one of the top European cities'. Speaking to ​Gazzetta dello Sport, Antonello said: "Inter and Milan are working together. We still have work to do but the time is right. Soon we will inform the city of our shared choice. Milan needs a stadium worthy of the top European cities." 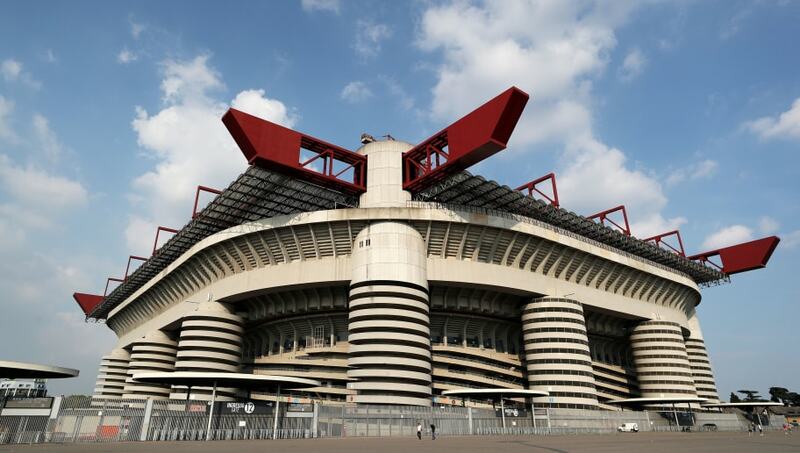 The decision to build a new stadium would be an alternative to further modernising the San Siro, which could take more time and money rather than the construction of a new ground, and would require Inter and Milan to play elsewhere in the interim. Inter and Milan recently met before the international break, with Luciano Spalletti's side running out 3-2 winners courtesy of a Lautaro Martinez penalty, which could be one of the final Milan derbies to take place at the San Siro. Both sides are currently in top four of ​Serie A, with Inter two points ahead of Milan in third, as the pair look to end the campaign by securing a place in next season's Champions League.